1. Ask your doctor about anticonvulsant medicines. Anticonvulsant medications are one of the most common treatments for trigeminal neuralgia. Your doctor may prescribe one or more anticonvulsants until he finds the one that works the best to manage your pain symptoms. 2. Get a prescription for tricyclic antidepressants. Tricyclic antidepressants are commonly used to manage symptoms of depression but they can also be prescribed to manage chronic pain. 3. Avoid analgesics and opioids. Analgesics and opioids are not useful in managing the paroxysms of pain in classical TN. However, some people with TN2 respond to analgesics and opioids. 4. Try antispasmodic agents. Antispasmodic agents are used to ease pain sensations caused by trigeminal neuralgia attacks. They are sometimes used in conjunction with anticonvulsants. 5. Ask about Botox injections. Your doctor may consider Botox injections to treat your trigeminal neuralgia if you become insensitive and unresponsive to anticonvulsants, tricyclic antidepressants, and antispasmodic medications. 6. Consider alternative medicine. Alternative medicine options have not been studied enough to be determined as effective for treating trigeminal neuralgia. Even so, many people report some pain relief from modalities such as acupuncture and nutritional therapy. 1. Ask about surgery. Trigeminal neuralgia is a progressive condition. Although medications can help you manage symptoms over time, more aggressive cases of this condition can lead to permanent damage to the trigeminal nerve, which can result in debilitating pain or partial permanent facial numbness. If you do not respond to medication surgery may be considered. 2. Try balloon compression. The goal of balloon compression is to slightly damage the trigeminal nerve branches so that pain impulses cannot be transmitted. 3. Ask about glycerol injection. 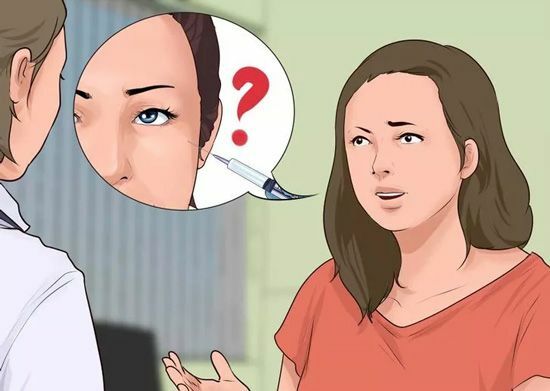 Glycerol injection is used to treat trigeminal neuralgia that particularly affects the third and lowest branch of the trigeminal nerve. 4. Try radiofrequency thermal lesioning. Radiofrequency thermal lesioning, also known as RF ablation, is an outpatient procedure consisting of coagulating nerve fibers with an electrode to desensitize areas where pain is experienced. 5. Research stereotactic radiosurgery (or gamma knife). This procedure uses computer imaging to send focused radiation to the trigeminal nerve. 6. Try microvascular decompression (MVD). MVD is the most invasive surgical procedure for trigeminal neuralgia. During surgery your doctor makes a hole behind the ear. Then, using an endoscope to visualize the trigeminal nerve, your doctor will place a cushion between the nerve and the blood vessel that compresses the nerve. 7. Understand neurectomy. Neurectomy involves removing a part of the trigeminal nerve. This invasive,ablative procedure is reserved for patients who are refractory to other treatments or who cannot undergo the alternative surgical procedures.